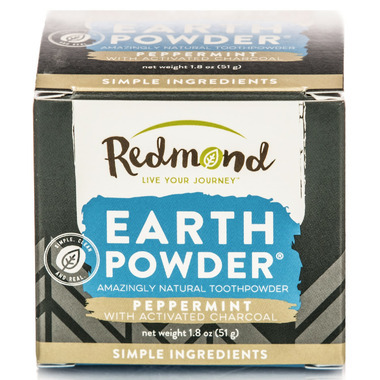 Earthpowder is the natural experience your mouth has been missing. Redmond's recipe relies on unique, high-desert bentonite clay paired with tooth-friendly non-GMO xylitol and delicious wild-harvest essential oils. It removes surface stains better than toothpaste! Just wet your brush and dip for a surprisingly delicious brushing experience. Earthpowder really works! No foaming agents, no coloring, no glycerin, and no fluoride. Just the simple ingredients your mouth needs to feel clean and nothing extra. I enjoy the product. The addition of peppermint makes it pleasant. I should have read better though. A bit expensive for the size.